Finding Your Path to Employment with Ticket to Work | What Can YOU Do? Every day, adults with disabilities across the nation pave successful paths to financial independence through work: people like Peter, who rebuilt his career after kidney disease; David, who found a new career after a severe car accident caused him to leave the workforce for a period of time; and Shileta, a young woman with cerebral palsy who found her calling mentoring other people with disabilities. 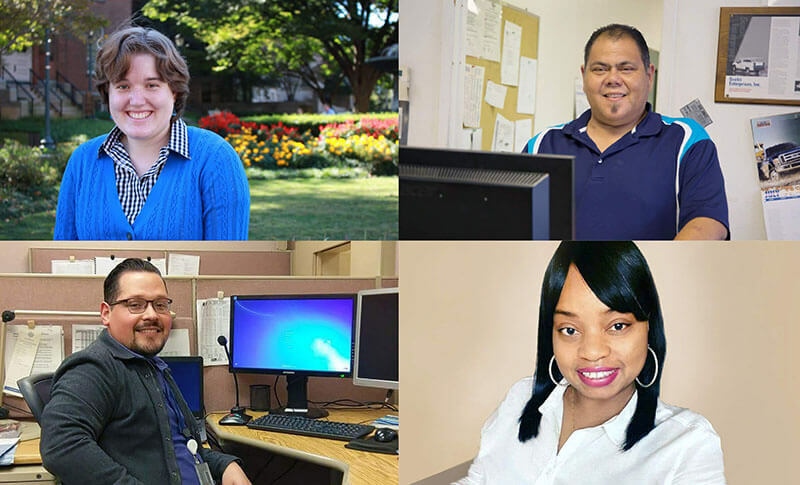 Helping these individuals, and many others like them, achieve their employment goals is the purpose of the Social Security’s Ticket to Work (Ticket) program. Employment Networks (EN) – ENs are private or public organizations that enter into an agreement with Social Security to either provide or coordinate the delivery of employment services to Social Security disability beneficiaries. This includes helping beneficiaries understand how working will affect benefits. This includes ENs that are also part of a state’s public workforce system (also referred to as a Workforce EN). State Vocational Rehabilitation (VR) agencies – State VR agencies usually work with individuals who need more significant services. In some states, this includes intensive training, education and rehabilitation. They may also provide career counseling, job placement assistance and counseling on the effect that working will have on Social Security disability benefits. For more information about the Ticket program, you can call the Ticket to Work Help Line at 866-968-7842 or 866-833-2967 (TTY), Monday – Friday, 8 a.m. – 8 p.m. ET. You can talk with a customer service representative, who can answer questions about how working will affect your benefits and how Social Security’s Work Incentives may help you toward financial independence. Help Line representatives can also provide you with a customized list of authorized service providers to support you on the path to employment. You can also use the Find Help tool to start looking for ENs, state VR agencies and other types of service providers. Subscribing to our emails and following us on social media are easy ways to stay up to date on the program and learn about resources and supports designed to help you on the path to work. Subscribe to the Choose Work! Blog to have our blog posts sent directly to your inbox. Attend monthly Work Incentives Seminar Events (WISE) webinars to learn more about the Ticket program and various employment topics. Subscribe to our WISE webinars email updates to find out what topics we will discuss each month. Like us on Facebook and follow us on Twitter to find even more information that may help you on your path to financial independence. This post was authored by members of the Social Security Administration’s Ticket to Work team.